Taylor Swift celebrated LGBT Pride Month onstage with a speech about acceptance and inclusion during a Reputation stadium tour concert at Soldier Field in Chicago. 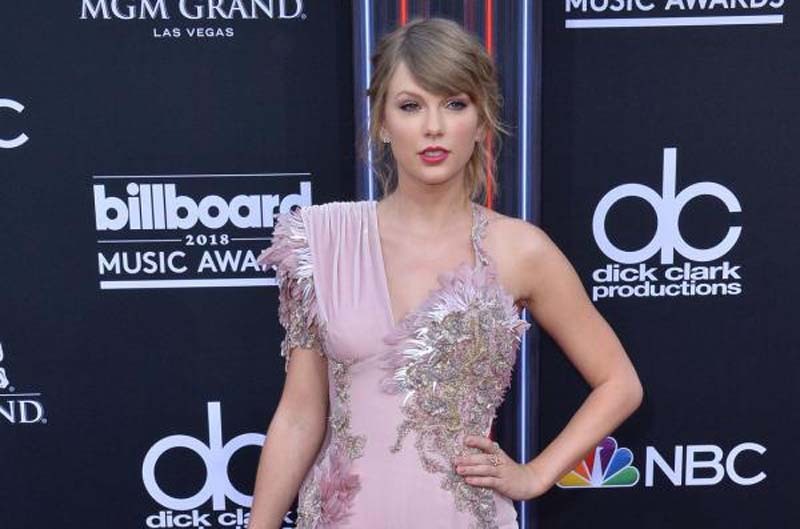 The pop star gave the speech Saturday night in front of a packed crowd before launching into her Reputation single, "Delicate." "It's very brave to be vulnerable about your feelings in any situation, but it's even more brave to be honest about your feelings and who you love when you know that it might be met with adversity from society," Swift said. "This month and every month I want to send my love and respect to everybody who has been brave enough to be honest about how they feel, to live their lives as they are, as they feel they should be, as they identify," she continued. "This is a month where I think we need to celebrate how far we've come, but I think we also need to acknowledge how far we have left to go. I want to send my love and respect to everybody who hasn't felt comfortable enough to come out yet ... and may you do that on your own time and may we end up in a world where everyone can live and love equally," she said. Swift's Reputation tour has reached the top of Billboard's Hot Tours chart having earned $54 million from its first five venues. The tour kicked off in May at the University of Phoenix Stadium in Glendale, Ariz., and will wrap up on Oct. 6 in Arlington, Texas. The tour has sold almost 398,000 tickets so far. Stops in Philadelphia, Cleveland, Toronto, Atlanta and Miami and others are still planned for the six-month tour. Swift has surprised fans during her concerts by bringing special guests onstage, including Selena Gomez, who joined her at the Rose Bowl to perform a duet of her 2015 single, "Hands to Myself."